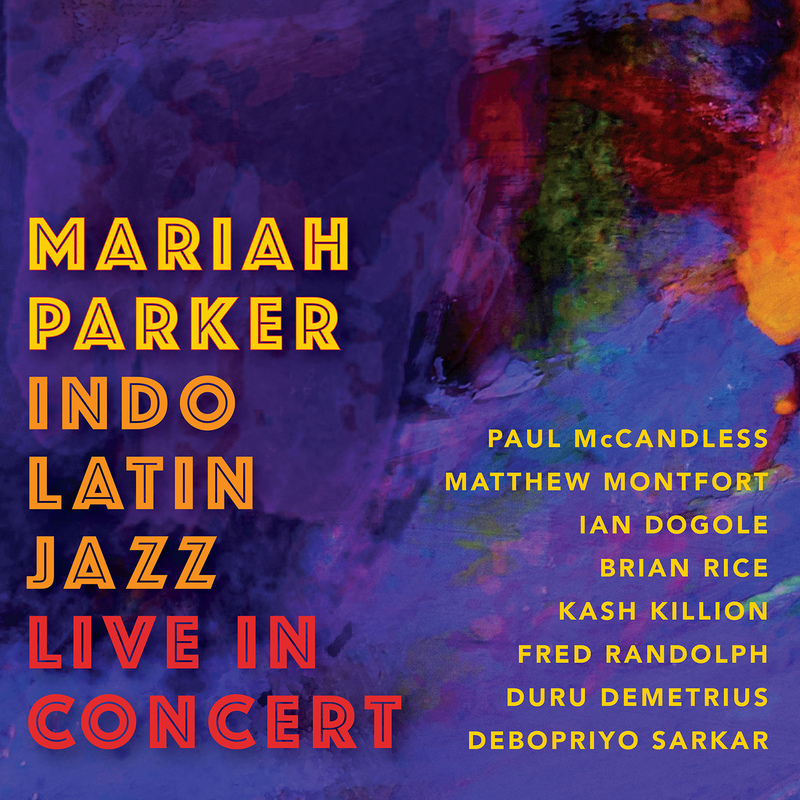 To celebrate the upcoming release of her new CD, Indo Latin Jazz Live in Concert, Mariah Parker will be performing three concerts in Northern California in January and February of 2017. According to Latin Beat Magazine, Mariah Parker's Indo Latin Jazz Ensemble "blends the rhythmic syncopations of Latin jazz music with the entrancing, asymmetrical meters of East Indian rhythms resulting in first-class world music. Intriguing melodies that draw musical inspirations from the tempos of Brazil, Cuba, India, and Spain make for an uplifting serene yet passionate musical journey into an ideal world." Featuring Mariah Parker (composition, piano, santur), Paul McCandless (woodwinds), Matthew Montfort (guitar), Kash Killion (bass, cello), and percussionists Ian Dogole, Brian Rice, and Michaelle Goerlitz. For tickets and more info, visit www.donquixotesmusic.info or call (831) 603-2294. Featuring Mariah Parker (composition, piano, santur), Paul McCandless (woodwinds), Matthew Montfort (guitar), Kash Killion (bass, cello), and Ian Dogole (percussion). For more info, visit http://www.occidentalcenterforthearts.org or call (707) 874-9392. 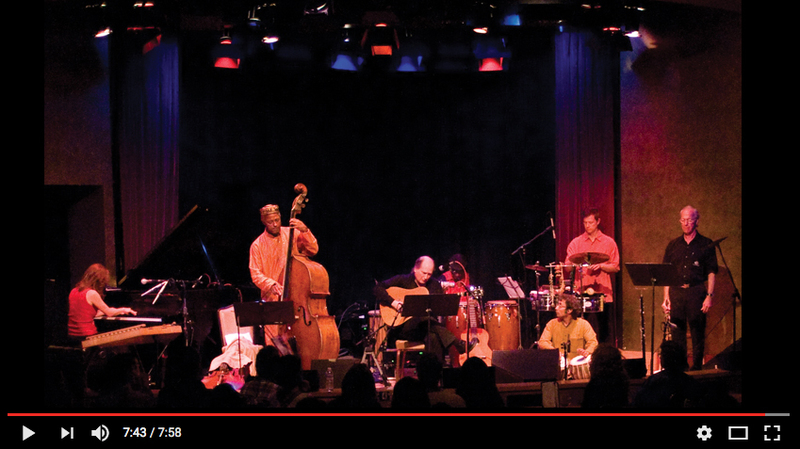 In 2009, Mariah Parker launched her Indo Latin Jazz Ensemble with a sold-out debut concert at Yoshi's in Oakland, California. Mariah’s new release for AncientFuture.com records, “Indo Latin Jazz Live in Concert,” captures the magic of that first performance, as well as subsequent Northern California concerts at the Freight & Salvage in Berkeley, the Throckmorton Theater in Mill Valley and a studio session at Bob Weir's TRI Studios in San Rafael. These multi-track live recordings were painstakingly mixed and mastered over a seven-year period by veteran Ancient Future producer Matthew Montfort. 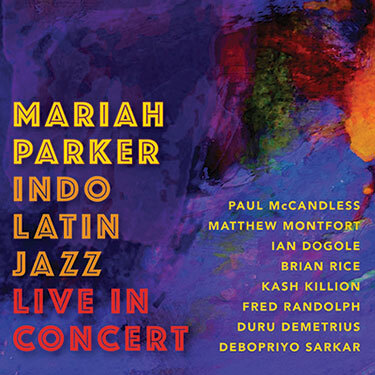 Indo Latin Jazz Live in Concert is a follow-up recording to Sangria, Mariah's debut CD, which received airplay on over 468 New World, Jazz, and Latin radio programs, and earned over 365 reviews and media placements, including two songs that ascended to the Smooth Jazz Now Top 100 Songs of 2009 Chart. Mariah Parker has been playing music from the time she could reach the keys on the grand piano in her family home. 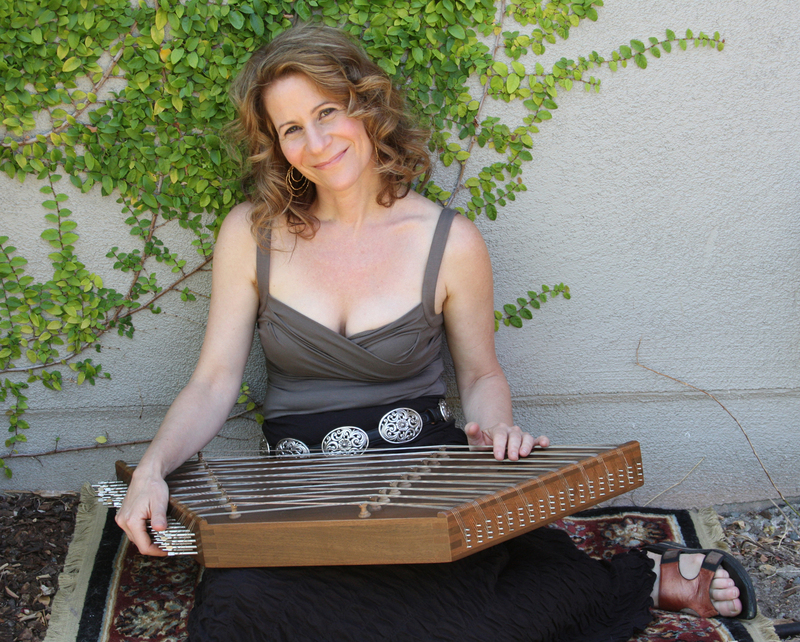 While completing her degree in music at UC Santa Cruz, she worked with ethnomusicologist Fred Lieberman and drummer Mickey Hart on the “Planet Drum” project and became fascinated with the possibilities of bridging musical concepts from different traditions. She has performed her original compositions in festivals in the US and Europe. 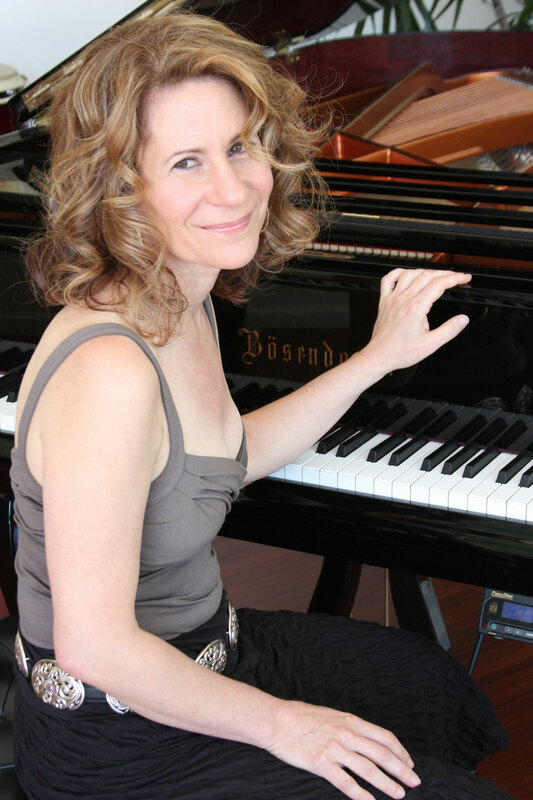 A gifted composer and band leader, she released her first solo recording of her compositions, “Sangria,” in February of 2009. This release received extensive airplay and critical acclaim worldwide. 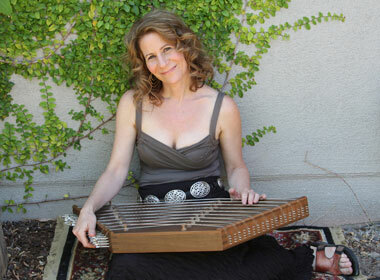 Mariah Parker with santur (a Persian manual ancestor to the mechanical piano). Recently recognized as one of the world's 100 Greatest Acoustic Guitarists, Montfort is a pioneer of the scalloped fretboard guitar and the leader of the seminal world fusion music ensemble Ancient Future. He has performed concerts world wide, including at the Festival Internacional de la Guitarra on the golden coast of Spain near Barcelona and the Mumbai Festival at the Gateway of India in Bombay. During a distinguished career spanning three decades, Grammy-winning woodwind virtuoso Paul McCandless has brought a soaring lyricism to his playing and composing that has been integral to the ensemble sound of two seminal world music bands, the original Paul Winter Consort and the relentlessly innovative quartet, Oregon. A gifted multi-instrumentalist, McCandless has specialized in an unusually broad palette of single and double reed instruments that reflect his grounding in both classical and jazz disciplines. Ian Dogole is an accomplished bandleader, composer, and multi-percussionist who has recorded and performed with artists such as Hamza el Din, Tito La Rosa, Ancient Future, and Alex de Grassi on a wide variety of percussion instruments, including udu, cajon, hang, African talking drum, kalimbas, cymbals and dumbek. 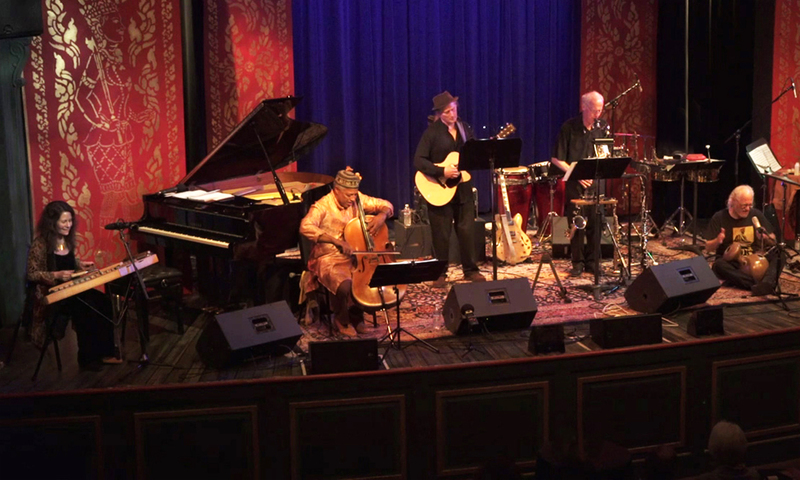 Kash Killion plays cello, bass and assorted African and Middle Eastern stringed instruments, and has worked with Donald Byrd, George Cables, Billy Higgins, Cecil Taylor, John Zorn, Sun Ra, Butch Morris, George Lewis, Reggie Workman, and the Sun Ra Arkestra. Brian Rice is a highly acclaimed musician specializing in Latin, Afro-Cuban, and Brazilian percussion who performs with acts such as Mike Marshall with Choro Famoso and the Antionio Calogero Quartet featuring Paul McCandless and Mike Manring. A talented percussionist with a focus on Brazilian, Afro Cuban, Venezuelan and Peruvian rhythms, Michaelle has played, recorded and toured with Mark Levine, Wayne Wallace, Houston Pearson, Denise Perrier, Joan Jeanrenaud, the Pickpocket Ensemble, Samba Rio, Novo Tempo, Bossa 5-0, and many others. 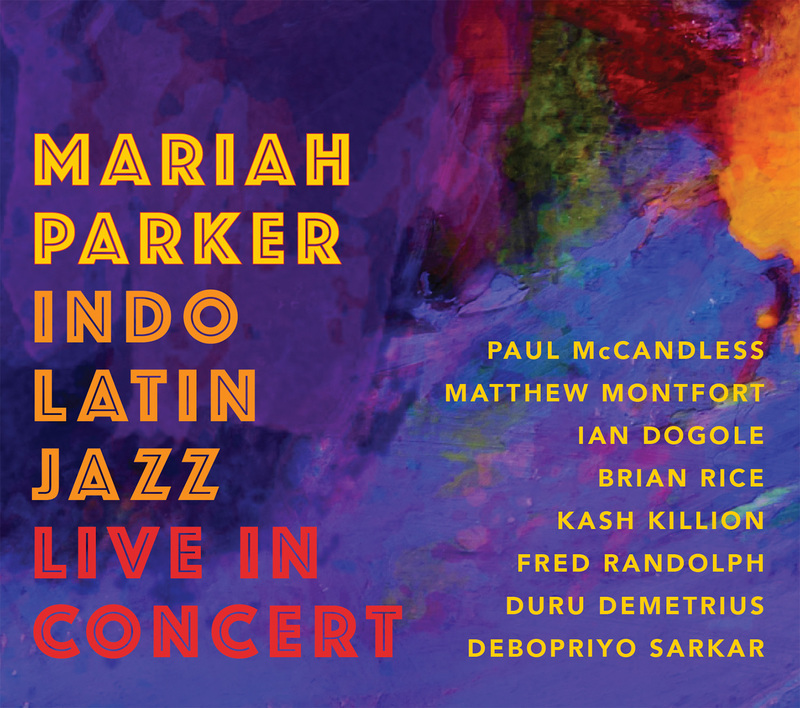 On Sunday, January 22, at 7 pm, Mariah Parker and her Indo Latin Jazz Ensemble will perform at Freight and Salvage in Berkeley, California. This CD Release concert features Mariah Parker on piano and santur, Paul McCandless on woodwinds, Matthew Montfort on guitar, Kash Killion on bass and cello, and percussionists Ian Dogole, Brian Rice and Michaelle Goerlitz. The Freight and Salvage is located at 2020 Addison Street in Berkeley, California. For tickets and info, visit www.freightandsalvage.org or call (510) 644-2020. Tickets are $24 in advance, and $28 at the door. On Sunday, January 29, at 7 pm, Mariah Parker and her Indo Latin Jazz Ensemble will perform at Don Quixote's International Music Hall in Felton, California. This CD release concert features Mariah Parker on piano and santur, Paul McCandless on woodwinds, Matthew Montfort on guitar, Kash Killion on bass and cello, and Ian Dogole on percussion. Don Quixote's International Music Hall is located at 6275 Highway 9 in Felton, California. For tickets and info, visit www.donquixotesmusic.info or call (831) 603-2294. Tickets are $20. On Saturday, February 4, at 8 pm, Mariah Parker and her Indo Latin Jazz Ensemble will perform at the Occidental Center for the Arts in Occidental, California. This CD release concert features Mariah Parker on piano and santur, Paul McCandless on woodwinds, Matthew Montfort on guitar, Kash Killion on bass and cello, and Ian Dogole on percussion. The Occidental Center for the Arts is located at 3850 Doris Murphy Court in Occidental, California. 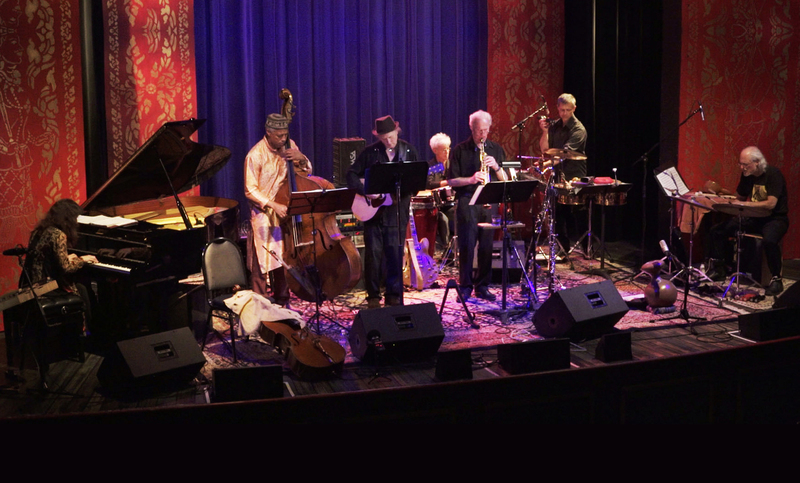 For tickets and info, visit www.occidentalcenterforthearts.org or call (707) 874-9392. Tickets are $20.